If you think you’ve seen enough of Europe and become a bit “bored” with the same sceneries, why not go to Africa! I’m always more interested in visiting places that are “off the beaten path,” so I took advantage of my stay in Europe to hop over to the other continent and start my very first African journey in Morocco! To be honest, if I were not here in the Netherlands, I would never have thought about going to a country like Morocco. So this is really a god-sent opportunity for me to explore the world and travel to exotic places. Nonetheless, as a Vietnamese passport holder I always have to worry about getting visas to go to another country. I know that a lot of nationalities are exempted from applying for tourist visa to go to Morocco, but I still want to write this down just in case it will be helpful to other fellow students in Leiden or in the Netherlands whose cases are similar to mine 🙂 I did have a hard time retrieving visa information in the Internet, as it turned out the Moroccan embassy in the Netherlands does not have a website and surprisingly I came across many negative reviews about the embassy’s services. I was a bit worried, but then everything went alright and I am just back from my trip! So as we are registered in Leiden we have to go to the Moroccan consulate in Rotterdam to apply for the visa. This will save you from making the wrong trip to the one in Amsterdam like I did. The process is pretty simple. I submitted the following documents. And that’s about it! Make sure you write your email address early because you will receive notification to collect your visa. A strange thing is that they will not keep your passport; you will bring it back later to get the visa stuck on. The officer told me the result would be out in 2 weeks but I received the email around 8 days after. The visa costs 200 MAD – 20,3 EUR at the time I paid. Contrary to the bad reviews on the Internet, I think the officers in the Moroccan consulate are really nice (they all speak English) and my application went very smoothly. So no worries, get ready for Morocco! I also like the visa on arrival service for the Vietnam visa which is applied online. Though we do have a Vietnam embassy in Morocco it is very stressing to apply for your visa from there. I will always go for the online option. Thanks for providing this information over here, it really will help people know about all requirements to be met .. Hi!! Thank you so much for the info. I’m a Malaysian and I need a visa. I’ll be leaving in two weeks and I totally for got about it. Do I have to make a reservation before visiting the consulate general? 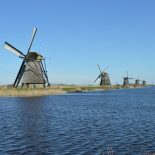 I have yet to purchase and insurance because I just arrive Netherlands for my exchange programme, is that a big issue? Hi Natalie! For visa questions it’s best to ask your official contacts at Leiden University. You can contact your exchange coordinator or the international student advisor about getting Insurance. You should arrange to have Insurance from the date you arrive. Good luck and welcome to Leiden!!! You could also stated that working hours of Visa section are from 9 am to 1 pm, so we do not waste our times by coming two times in the Consulate General. We’re sorry you may have had an issue with the consulate times. It’s always best to double check these things before setting off, and to check updated information as this blog post was from some time ago and information may have changed. Best of luck! It will be some sort of document showing you are enrolled and taking classes at the University. Hi, thank you so much for sharing this post! I’m planning to fly out to Morocco on the 30th of January for a week and I just applied for the visa on the 15th. I know I’m pretty late, but this post has given me hope that I’ll get the visa before my departure date. I know circumstances could be different but it’s just the thought that is possible that helps. When you say 8 days, you mean 8 working days right? The thing is, I delayed by visa application because there was a document that I was not able to get as soon as I expected and that is why I did it pretty late; I also thought that they would have a speed (emergency) procedure available but I found out otherwise when I got to their office yesterday. Do you think the consulate would speed up my application knowing that I intend to travel very soon? Just would like to hear your opinion, thanks in advance! did you have to make an appointment with the consulate? or did you just drop in ? Dear Rebekah, The blogger has graduated so unfortunately I think she won’t be able to reply. However, I would suggest looking at the embassy/consulate website or giving them a call to see what is possible. Normally they have specific hours of the week when you can go in and apply. This entry was posted on January 12, 2016 by in Travel, Uncategorized.